Margaret Edson, Fotó: © Walter McBride / RetnaLtd. 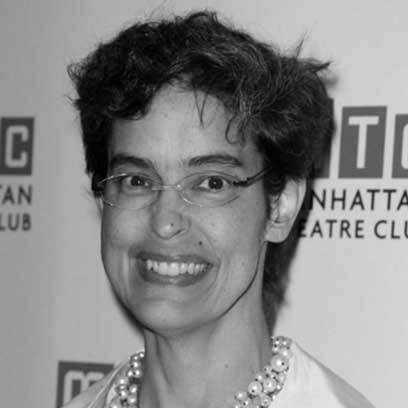 Margaret Edson (born July 4, 1961 in Washington, D.C.) is an American playwright. Edson graduated with a B.A. in Renaissance History from Smith College, and received a master's in English literature from Georgetown University. Her jobs have included being a bicycle shop sales clerk and a volunteer ESL teacher. Edson's first play was Wit, first produced in 1995 at South Coast Repertory in California, about a John Donne scholar who is hospitalized for and dying of ovarian cancer. Edson did use her work experience in a hospital as part of the background in writing Wit. At the time of the first New York production of Wit in late 1998, Edson was a kindergarten teacher at Centennial Place Elementary School (Atlanta, Georgia). She won the 1999 Pulitzer Prize for Drama for Wit. After she won the Pulitzer Prize, Edson received a large amount of publicity, including an interview on The NewsHour with Jim Lehrer on PBS. Edson has written a second play, Satisfied, whose subject is "country-gospel radio in Kentucky". As of April 2008, this second play has not received a production.